What Are The Best Practices For Cloud Hosting? Companies that use cloud hosting are facing a multitude of issues. Most of these issues are related to security threats and data breaches within the cloud network. The threat of a data breach is so high that 53% of companies believe that cloud hosting poses many general security risks. The risks are the essential barriers to cloud hosting. It is vital for companies to follow the best practices in cloud hosting as highlighted below. SaaS is a well-known service and consists of making software applications accessible through web sources. Infrastructure-as-a-service refers to remote access to servers or storage capabilities, while Platform-as-a-service is a software-based computing platform that enables developers to design and build deploy web applications on a hosted infrastructure. An important aspect of a cloud hosting service is that it should allow easy access and transfer of different applications. Application transfer services from one cloud platform to another and from in-house cloud data centers must be easy and quick. 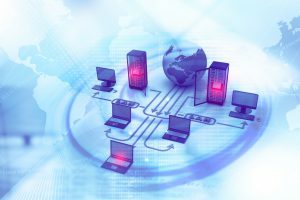 Cloud hosting services will have to adopt standard technologies to ensure true interoperability. The recent “Open Cloud Manifesto” supports interoperability of data and applications. The Open Cloud Consortium advocates for frameworks that allow different companies that provide cloud-hosting services to work seamlessly between them. The goal is to move an application from one cloud to another without having to rewrite it. The cloud-hosting provider must offer adequate security measures to protect the sensitive data of the client. In the past, there have been several data breaches. These breaches resulted in the loss of sensitive data and loss of millions of dollars. While keeping data on a cloud has its risks, many hosting companies offer proper security measures to keep your data safe. Before choosing a cloud hosting service, be careful when reviewing the SLA. It is essential to understand all the concepts discussed before making a final decision. The terms and conditions must be easy to understand. Reading through all publicly available data is important. Amazon, for example, maintains a dashboard that shows the state of operation of the various services and a history. There will always be latencies on the network with a cloud service, making applications slower than running on your own data center. Many third-party vendors, such as RightScale, are developing additional services to the cloud to ensure that applications evolve and work well. Companies that need cloud hosting services must make sure that the company is ready to adopt the principles of cloud computing. The service must have open data centers. https://www.completecontroller.com/wp-content/uploads/cclogo_main-long-300x63.png 0 0 Complete Controller https://www.completecontroller.com/wp-content/uploads/cclogo_main-long-300x63.png Complete Controller2019-04-05 12:34:362019-04-05 12:34:36What Are The Best Practices For Cloud Hosting?